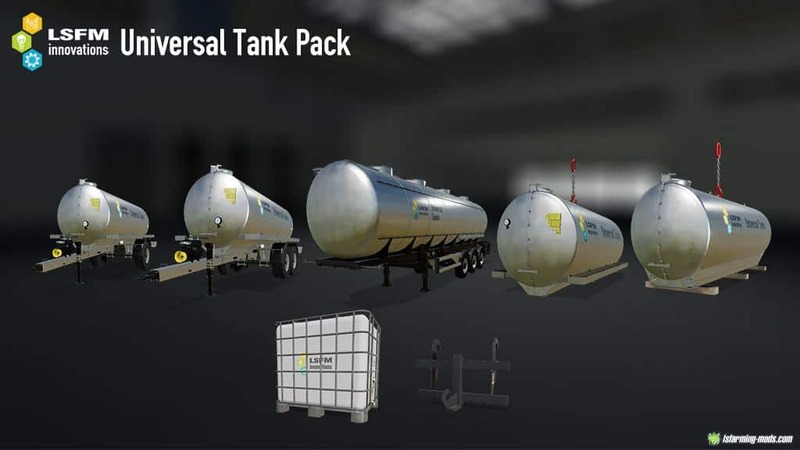 Universal tank trailer pack with extended features. Note: This pack creates under Tools a new shop category where you can find everything from the pack. Attention! The IBC module was removed because of too many problems.